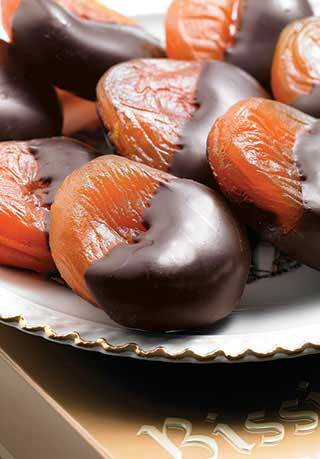 One of our best selling collections centers around our world-famous Dark Glacéed Oranges au Chocolat. 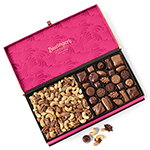 Each box features Salted Caramels, English Toffee, Bear Claws Royal, and other customer favorites. 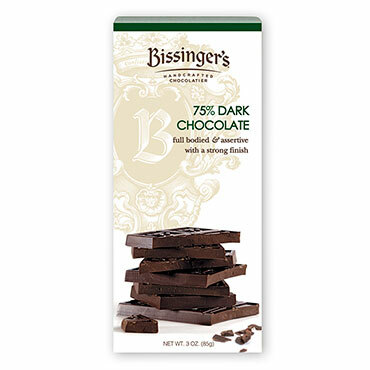 This distinctive sampling offers a selection of intriguing Bissinger's signature chocolates that offer an ever-so-modern twist. 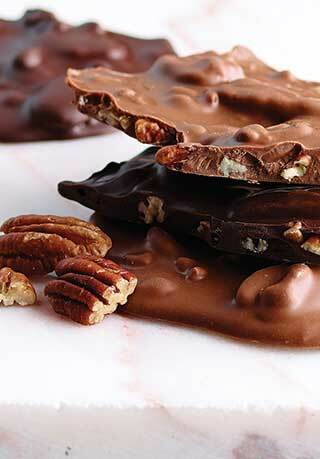 Each noteworthy confection has made a name for itself with its unique flavor profile. 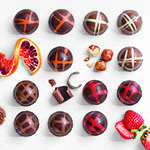 Discover a selection of our Salted Caramels, English Toffee, our Bear Claws Royal and other delights, with our world-famous Dark Chocolate-Dipped Orange at the center of it all. 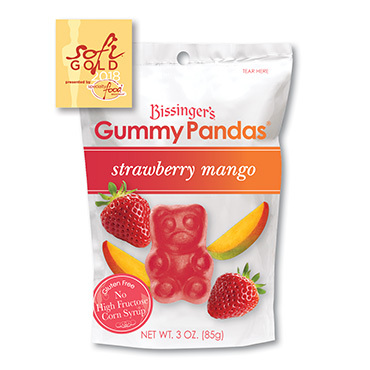 Delicious and amazing as usual. a good mix. 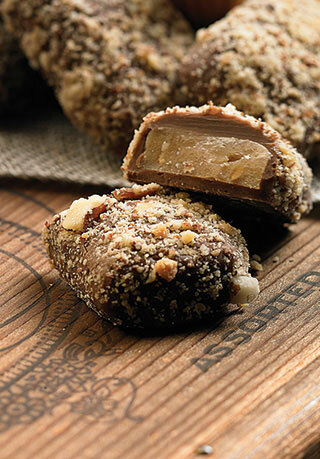 The truffles especially good. 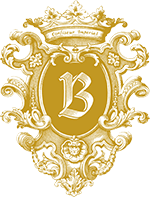 Excellent chocolate and service ! 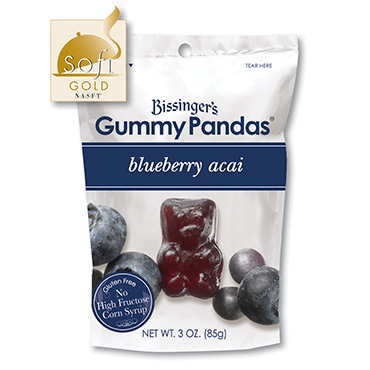 The candy is truly excellent. I live in the Washington, DC, area. 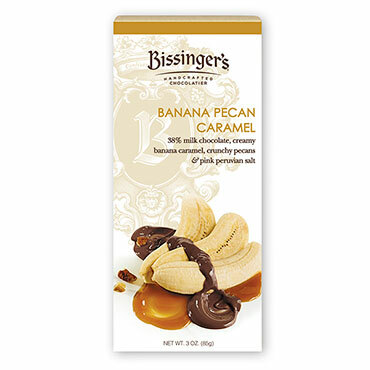 Gifting family & friends with some of the very best chocolates from BISSINGER's in St. Louis brings happiest Thanks from EVERYONE! 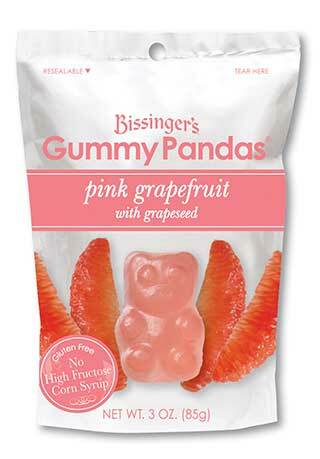 Thank you, Bissinger's, for creating beautiful and delicious candies in gorgeous boxes & wrappings! 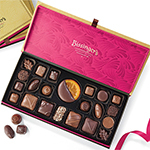 The recepients loved the assortment. White chocolates are good for Easter. 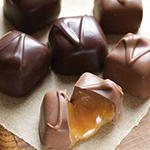 INGREDIENTS: Chocolate (Sugar, Whole Milk Powder, Cocoa Butter, Unsweetened Chocolate, Soy Lecithin (an emulsifier), Vanilla), Sugar, Rice Syrup, Glacéed Orange Slice (Orange, Sugar, Glucose Syrup, Natural Flavor), Cherry Cordials (Sugar, Chocolate Liquor (processed with alkali), Cherries (Glucose-Fructose Syrup, Calcium Chloride and/or Calcium Carbonate (a Firming Agent)), Corn Syrup, Cocoa Butter, High Fructose Corn Syrup, Milk Fat, Contains 0.5% or less of the following: Invert Syrup, Soya Lecithin (an emulsifier), Citric Acid, Vanilla Extract, Potassium Sorbate, Natural and Artificial Flavor, Sodium Benzoate, Sulphur Dioxide (preservatives), Red #40), Milk, Heavy Cream, Macadamia Nuts, Butter, Almonds, Pecans, Dried Cream (Cream, Soy Lecithin, Tocopherols and Ascorbyl Palmitate (to help protect flavor)), Raspberry Powder, Invert Sugar, Inulin, Extra Virgin Olive Oil, Cream, Raspberry Flavor, Dried Pear Powder, Salt, Balsamic Vinegar, Vanilla, Strawberry Powder, Raspberries, Lemon Powder, Balsamic Sea Salt (Sea Salt and Balsamic Vinegar), Citric Acid, Murray River Salt Flakes, Raspberry Juice, Soy Lecithin (an emulsifier), Natural Flavors, Invertase, Peppermint Oil, Lemon Zest Oil, Cream of Tartar, Baking Soda, Calcium Carbonate, Fumaric Acid, Spices, Raspberry Seeds, Dried Egg White.